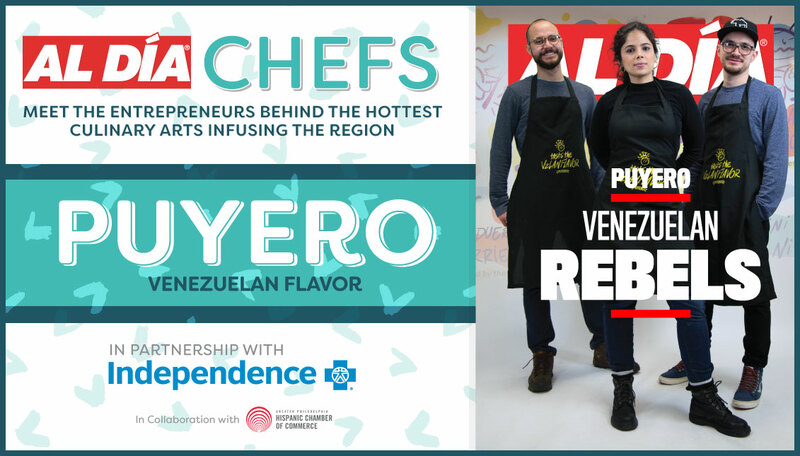 Join us for an exciting and one-of-a-kind live cooking event with the masterminds behind Puyero Venezuelan Flavor, a restaurant that has been busy making its mark on Philly’s South Street for the last year. Chefs Simon Arends, Gil Arends, and Manuela Villasmil will showcase their talent for creating a vast array of tasty Venezuelan arepas at Independence Live on May 10 from 5 p.m. to 7 p.m. This event is open to the public, and tickets are $15. All proceeds will be donated to the AL DÍA Live Foundation. Space is limited, save your seat now and register here.